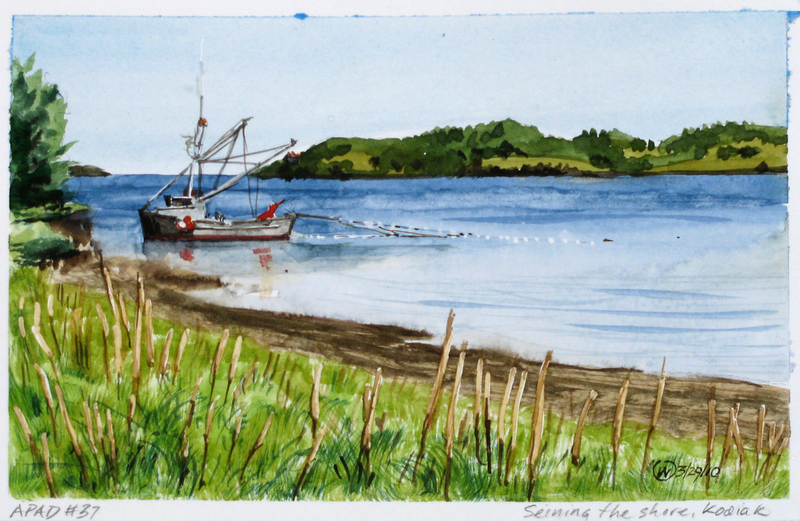 Seining the shore, Kodiak, is from a shot I took while living there in mid 1980's. Not unusual to see these fisherman chase a school of salmon right up to the shoreline. We did the same on our gillnetter in 1961.